A microinsurance event took place in Cairo on 7 and 8 May, 2017, under the auspices of the Egyptian Financial Supervisory Authority (EFSA). The main objective of the event was to present microinsurance as a profitable business case to the Egyptian market; by showcasing successful international experiences in microinsurance with the aim of enticing insurers to develop microinsurance products. 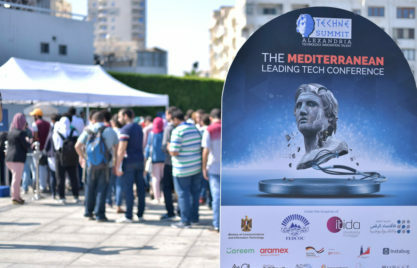 More than 200 participants representing the insurance industry in Egypt took part, including insurance companies, insurance brokers as well as distribution channels such as Microfinance Institutions and Mobile Network Operators. The event was an excellent opportunity to share knowledge and expertise and was a true learning experience for participants. Mr. Sherif Samy, Chairman of the Egyptian Financial Supervisory Authority (EFSA), emphasized that EFSA is very keen on promoting financial inclusion, in general, and on developing the microinsurance market, in specific. He reiterated that microinsurance represents an effective tool for expanding the outreach of insurance to low-income segments of the population. 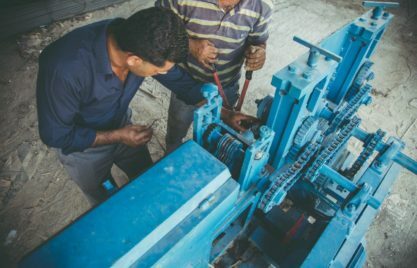 In fact, in November 2016, EFSA issued Egypt’s first directives regulating microinsurance which allowed for the utilization of a wide network of distribution channels for the policies, premiums’ collection, and the compensations’ payment. This was undertaken by endorsing the electronic issuance of microinsurance policies by insurance companies while allowing microfinance institutions, insurance brokerage companies, banks, and the Egyptian Postal Office to distribute policies and collected premiums. Dr. Andreas Kuck, Country Director of GIZ Egypt, in his opening speech said that “Having speakers from 3 different countries, Morocco, Jordan, and Ghana, offers a unique peer to peer exchange between the stakeholders of the microinsurance market in Egypt and their peers in the different contexts”. 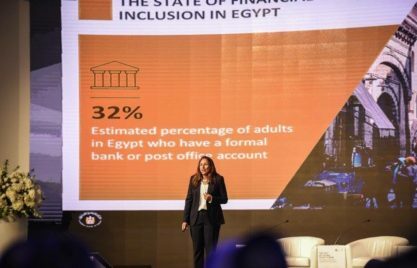 The first day of the two-day event was designed to include interactive panel discussions presenting three different microinsurance products from three countries followed by reflections on the lessons learnt and possible applications in the Egyptian market. The second day was a workshop moderated by Michael McCord, President of the Microinsurance Centre, specifically designed for insurance and brokerage companies. The workshop had a special focus on introducing and applying the product development process in addition to identifying potential distribution channels. Participants were given the opportunity to work on their respective plans with guidance from the insurance practitioners (who were speakers on the first day). This provided a hands-on experience for the insurance professionals assisting them with the introduction of new microinsurance products to the Egyptian market. According to the Landscape of Microinsurance in Africa 2015, only 0.3% of the Egyptian population is covered by microinsurance. “The Egyptian market is a goldmine and has huge potentials for microinsurance development” according to Mr. Mazen A. Nimri, Deputy General Manager for Life and Medical Insurance, Jordan Insurance Company (JIC), who was one of the speakers at the event. Microinsurance: International Experiences & Egyptian Applications was jointly organized by the Egyptian Financial Supervisory Authority (EFSA), the Deutsche Gesellschaft für Internationale Zusammenarbeit (GIZ) GmbH on behalf of the Federal Ministry for Economic Cooperation and Development (BMZ) through its project “Promotion of Access to Financial Services for SMEs in Egypt” (PAFSME), Japan International Cooperation Agency (JICA), and the SANAD Fund for Micro, Small and Medium Enterprises.